"We love this place Thanks to the friendly staff and mangemen..."
Have a question for Sita Beach Resort? "Next to hotel a very authentic thai food restaurant beach front." "Really nice resort with Clean and new room"
"The breakfast is perfect with everything.there is a nice clean beach also." "Room interior is nice, clean, very comfy and pools are very..."
Renovated in 2016, the Sita Beach Resort & Spa guarantees guests a pleasant stay whether in Koh Lipe for business or pleasure. With its location just 60. Km from the city center and 120. Km from the airport, this 4-star hotel attracts numerous travelers each year. For sightseeing options and local attractions, one need not look far as the hotel enjoys close proximity to Pattaya Beach, Koh Lipe Ferry Terminal, Sunset Beach. At Sita Beach Resort & Spa, the excellent service and superior facilities make for an unforgettable stay. This hotel offers numerous on-site facilities to satisfy even the most discerning guest. 73 rooms spread over 1 floors provide a warm and pleasant home away from home. Modern comforts such as television LCD/plasma screen, complimentary instant coffee, complimentary tea, free welcome drink, mirror can be found in selected rooms. The hotel's snorkeling, outdoor pool, diving, fishing, massage are ideal places to relax and unwind after a busy day. Whatever your reason for visiting Koh Lipe, the Sita Beach Resort & Spa is the perfect venue for an exhilarating and exciting break away. "Friendly staff, nice and clean room, good breakfast." To our surprise there was a free pickup at the pier when our boat arrived. Staff was very friendly. Our room were up the hill, so rather long walks to the breakfast room/beach. On the plus side there is a second reception up the hill. Very nice, big and bright room. No cooked vegetarian options at breakfast. Staffs were very helpful, clean room with beautiful view of pattaya beach. We booked honeymoon suite and it was great. Overall our holiday in Koh Lipe was excellent. Sita beach resort location was very convenient to get around especially to the Walking Street. The place is near to Walking Street and the boat landings but is also a bit secluded from all the hustle that comes with it. The place is clean and nice with a good restaurant. There are some dive centers on the same side as well so it is easy to book any dive trips. The only thing I found was that the other side of the island is quieter especially during long weekends :). The hotel is end of the pattaya beach. I prefer Mali Resort compare Sita Beach Resort & Spa. The service is very good specially the ferries shuttle service after you get off the boat; and the room is good enough for our family too, but the spa looks so old and without condition, and not much choice. The tiny island of Koh Lipe can only be reached by boat, and only once a day. And once you are on the island all you can do is take walks and go snorkeling. And relax and read a good book. Tourism is just starting to develop, and nightlife is non-existent. Sita Beach Resort & Spa is a place that sticks out. 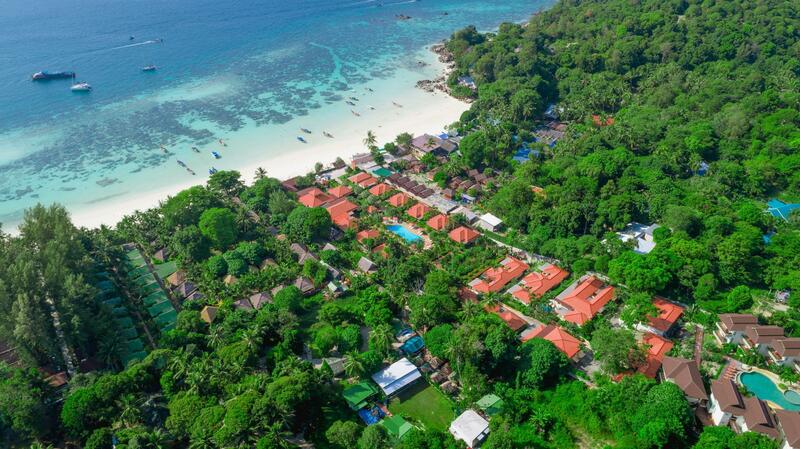 There are plenty backpackers places, cottages and B&B's on Lipe, but Sita is a well built, fully equipped resort with all the comfort of a good hotel, and a friendly, helpful staff. That's all we wanted when we chose to go to Lipe Island. 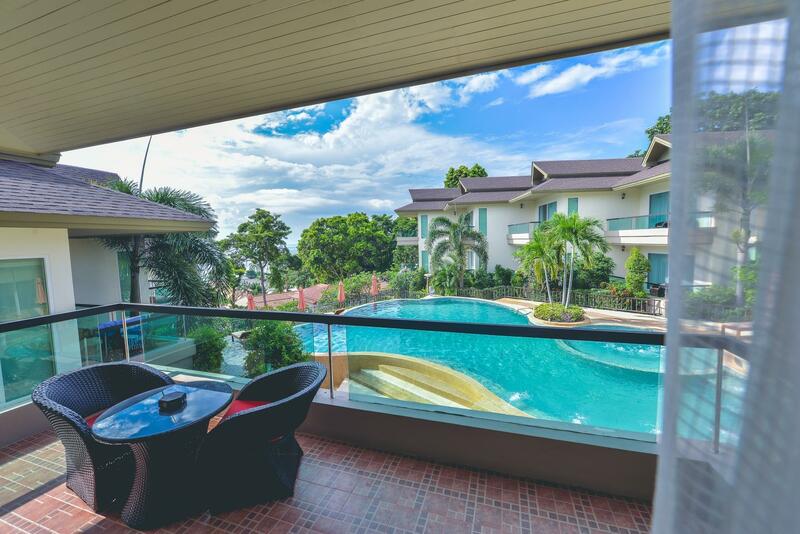 Have a swim and sit on the veranda watching the ocean, and not having to deal with bad beds or crappy bathrooms. The best of far out of all the beaches that i have went to in thailand. the water is the clearest, and not a lot of tourist has found this place yet. The sea is very clean with a lot of marine life, and the sand on the beach could be comparable with the sand in maldives. Great choice for travel! Great hotel to stay in with wonderful sea view and along the nicest beach in the island. We had lunch and breakfast at the restaurant, breakfast was superb especially the fist porridge. The massage is a little pricey compare to those at the town area, but definitely worth it, the massage therapist was simply skilful and experience. My stay at Sita is definitely the best ever experience because it is too relaxing and has a lot of privacy. The room is very spacious, clean, nice and comfortable, fully equipped, with wi-fi. The spa is really nice because it has private room for couple and has good deal package. Resort can arrange buggy service for pick up from other hotel as well as send you to speed boat check-in location. The unforgettable memory that you will got.The beautiful seaviews,the kindly staffs and the sunrise view you can found.My wife really love the room and the swimming pool,she said the pool very private place for her.For me,I really enjoy to played the beach volleyball with the staffs.I will come back the next year. The island is quite far away from land. It took 1:10 hr for a 4x200 Hp engines boat to reach the island from Pak Bara pier. There are 2 companies provide boat services to the island. At the time we went there was in the low season so there would be only 1 boat to go to Lepe, departed around 11 am. In the high season, after 16 November, there will be more boats going to Lepe daily. The island is beautiful though not quiet. The beach front land are littered with small cheap looking bungalows. So Sita stands out from the crowd. There is a narrow road or "Walkinh Street" which connects 2 sides of the island together. It also serves as a shopping mall for foods, drinks, messages and diving sevices. The rooms we had were "Superior Sea View" which were on the hill in the resort. The location was the least convenion to go to the beach or hotel restaurant but it had the best view of the sea. The room was well designed with separate shower and toilet. The hotel had a 2nd swimming pool on the hill side as well so we could swim in the pool with a great view of Andaman sea. The worst part of Lepe island is the foods and drinks which cost 3-4 times more expensive than the shop on land. So the resort's breakfast is a heavenly treat. koh lipe has now definitely been "discovered" and it not the quiet island the guide books still suggest that it is. for that reason i was very glad to be staying at the sita as it was sufficiently far enough away from the action to be quieter, but still close enough to walk to the action easily. the hotel itself was a typical high quality thai beach resort - good sized rooms well furnished, excellent staff service, a nice sized pool, and more than enough sun loungers on the beach. the restaurant served up a standard breakfast with hot and cold buffets - no complaints at all, and snacks or main meals for lunch and dinner. they do a particularly good barbecue at dinner with excellent chicken kebabs for baht with a free (albeit very small) jacket potato. two of these make for a very cheap dinner. Hotel surrounding , spacious room n i love the pool..
My stay at Sita beach has been pleasant.The staff has been friendly and helpful.It save a lot of my hassle by helping me to transfer all the languages to and also from the boat pick up point,especially i am traveling with 3 children. My family enjoy dipping at the pool every evening.We love the breakfast. when i realized that we would come on low season, where transport from langkawi to koh lipe will be more difficult compared to high season, i tried to contact sita resort. the manager replied me promptly, even finally arranged our transportation. and during all time before we arrived at the sita safely, mr aofy was available to be contacted thru email, telephone or sms. due to the rough traveling using the speedboad, i was having sea sick, and the hotel staff (den and art) were helping my husband and sons. they were very accommodating during our stay, even helping us with this and that, including rearranged our flight back to langkawi. the other hotel staff at the restaurant (ko and madi), were very nice and kind. the pool is very nice and clean, all surrounding are very helpful for our staying. we did have one of our best holidays in this hotel. we finally choose to stay in sita hotel because it situated in pattaya beach which has long,white sandy beach. my room was swimming pool facing deluxe room.when i first entered the room, i felt wonderful because it was so spacious and stylish design room and the entire room was filled with aroma frangrance. i loved the open air bath tub most. lyling,relaxed there can heard the sea wave gently pading sound. while at night, i even saw the moon on the sky. just imagined how romantic experienced i had during my holiday. at the edge of pattaya beach. walk the walking street in 15mins. very beautiful and big room, good pool. feel relax and comfortable. we stay in the resort all the day. pool view rooms are most closer to the beach. good restuarant. we arrived at pattaya beach by longtail boat but the tide was out and the boatman did not want to negotiate the shallows to sita which is at the furthest end from the drop off point. the hotel had said they would drop us at the door so we held out and reluctantly the boatman took us to the right area. (without that you have to carry all your baggage along the beach). the hotel was pleasant - breakfast was mediocre but ok. we did not eat in the restaurant apart from that so cannot comment. the dive centre (forra dive) next door was very good and competitively priced. 4 nights that we really enjoyed. Staff is really friendly! Even if service standards are not as high as expected... (room cleaned late, table for breakfast are not cleared. Location is OK. Quiet but still on the main beach. Amazing view from our room on the top of the hill.